My partner in crime Izzy wasn’t planning on doing the marathon but another two of my epic adventuring friends were planning on doing the entire day so I knew I would have some company, but I still had reservations .. It wouldn’t be the same without Iz – I mean we are the pioneers of the marathon. BUT – I obviously had to represent team Iz and Julz and show these newbie marathoners how it is done! Just like the first time around Phil was to take the first four sessions (with the exception of Yoga which would be taken by Danna from Lululemon) and then Joe would come and kill us at the last two sessions. 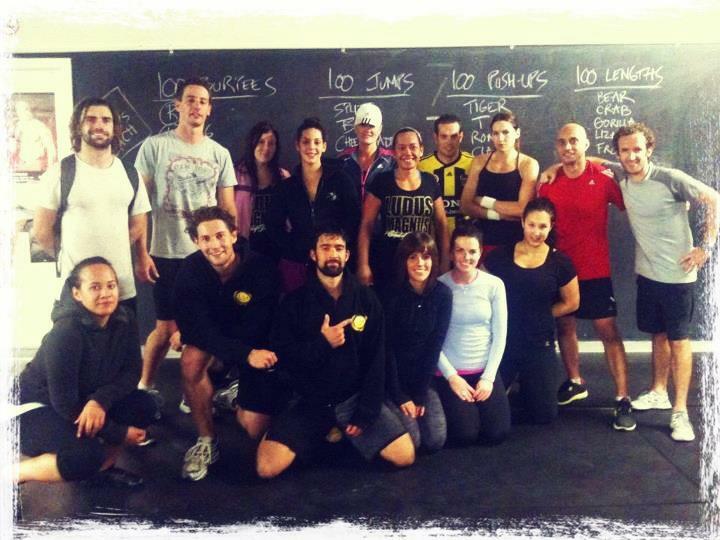 Six AM was a 100-10 but we had to do it as a group – which I am not fond of. I like to go “hell for leather” but I did the team thing .. I guess most of us were to become a team of sorts. Anyway moving onto session two – Yoga. I changed into some long tights and a dry top, grabbed a mat at the back and then got my yoga on. We did some different poses than on Sunday so that was pretty cool and thankfully one of the Lululemon ladies was in the back row and I could follow her, because I couldn’t see Danna through the crowd and we were doing some confusing pretzel type poses. “So what do I need? A long sleeved top .. oo and I’d like that jacket that Danna was wearing” .. yeah like I said – needs work. Here Danna shows us how to Warrior, some of us have better luck with it than others! We had a 2.5 hour gap until our next session so we headed for coffee and I had a muffin (did I even need to mention that fact – I guess if you have read this blog for awhile its a no brainer that I had a muffin) lol. So caffeinated and fed it was bring on session 3 .. Game Time! We had about an hour before the lunchtime session started so I had a quick shower and then snacked and gossiped discussed world politics. Then the lunchtime crew arrived and we got into it .. 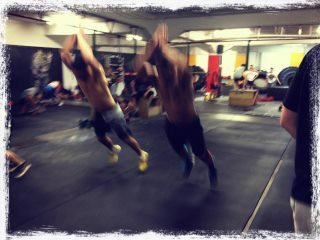 Anyway the relay one was monkey crawling (laps around the gym – not lengths) and relay two was samurai walks. 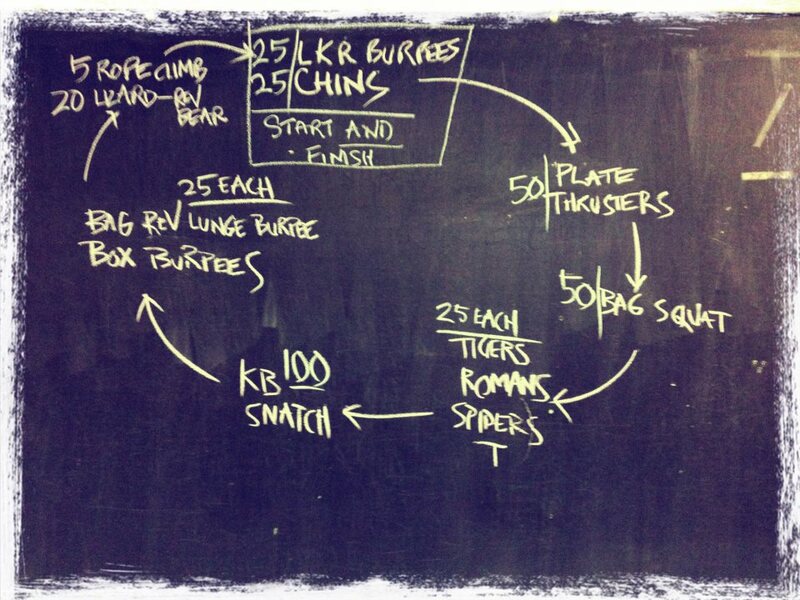 This workout was closer to the Ludus workouts I know and love, the ones that beat you down till you can’t stand up! And as usual the lunchtime crowd was out in full force! After the lunchtime session we had four hour gap until our next session. The organisers had arranged free massages and even a free visit to the Langham to use the pool/spa/sauna facilities. Unfortunately I had no idea about either “perk” so I didn’t come prepared for the Langham visit but never fear I had a lunch date with Sally and a shopping trip to Lululemon to fill my afternoon. Luckily we shopped before eating because boy oh boy was I full after lunch. I was literally praying to God that the food went down in time for the next session. And yes I do realise God has better things to think about but you know he may have had a spare second or two. 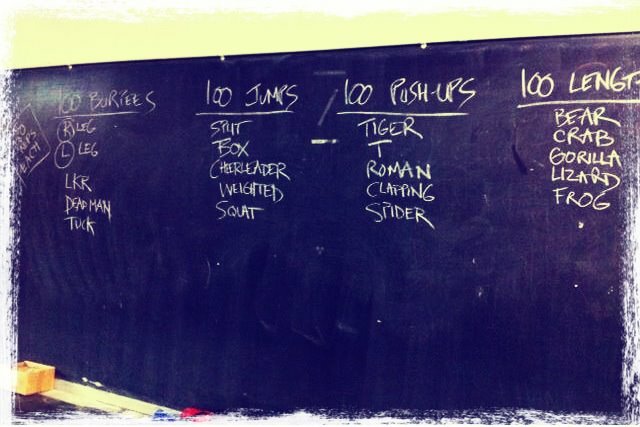 When we arrived back at the arena I was actually really excited about getting stuck into a Joe Ludus session – Joe and Phil are quite different in the workouts they set. True to form the 5.30 session was a typical Joe f**k you up session. Some of the newer members were saying things like “Whoah that’s just crazy he did they just to kill us” and their jaws nearly hit the floor when I explained that it was just an ordinary Joe session. Session complete – bring on number six! Session six is the one that seperates the stubborn from the sane .. and I was going for stubborn. There was no way I was not completely the entire sixth session because that is not a marathon and I would have just wasted an entire annual leave day. There were a “measley” 400 reps between me and resting my weary body in my comfy bed unfortunately 100 of those reps were lengths of crawling. I started on the crawling because I knew that it was the hardest set and was going to take the longest. And even those these two make frog leaps (which are classed as a crawl) look easy it’s not .. 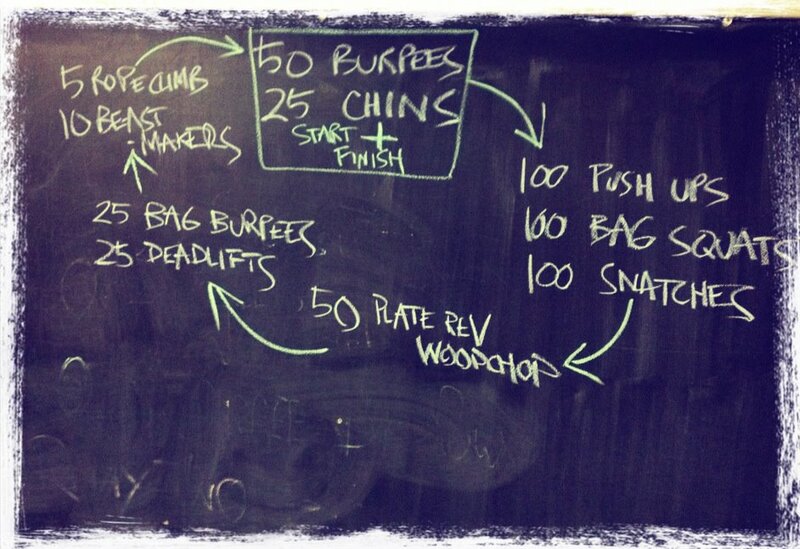 This workout may look simple when it’s written down on a chalkboard, but sometimes the simplest ones are the hardest and this was no exception. I know this because even the people who came fresh struggled with this one. By the time I got to my last set (which were the pushups) my chest and shoulders were not happy about doing 100 more pushups, but I did it, it may have got to sets of 5 but I did them .. all of them .. 100 properly counted reps.
Then from my space on the floor (because I couldn’t move) I cheered on Sally and the beautiful Swan while they finished up their final reps.
Marathon Two – Done and Dusted. And before you ask .. yes I was in the arena bright and early this morning, taking on this beast ..
Today I tamed the beast but I didn’t beat it. Not bad considering ..